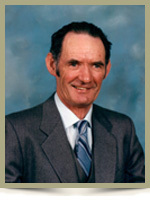 Rowter, Arnold Ellsworth “Tim”, 81, of Maitland Bridge, passed away on Wednesday, September 7th, 2011, at home. Born in Maitland Bridge, he was a son of the late Frank and Mildred (McCarty) Rowter. Tim was employed with Parks Canada for many years, until his retirement from Ranger Services. He was a lumberman by trade and enjoyed spending many countless hours in the woods. He was a loving husband, father, grandfather, great-grandfather and friend. He is survived by his loving wife Althea (Carver), son Frank (Judy), of Hammonds Plains; granddaughters Angela Rowter, Sally Rowter; great-grandsons Brandon Rowter, Jack Keeping, Josh Keeping, all of Hammonds Plains. He was predeceased by a brother Allen. I want to offer my deepest sympathy to Althea, Frank and the rest of Tim’s family. Tim was a great friend to mom and dad. For many years, Tim and dad often found themselves out on the lake, deep in the back-country or alongside the road helping travelers or the occasional stricken wildlife. Tim always enjoyed a good laugh. I’ll always remember Tim as a mentor for all of us young patrolmen, wardens, laborers and interpreters. He instilled in us a work ethic and love of the outdoors that endures to this day. He’ll be dearly missed. Aunt Althea he and all of you are in my prayers. Althea, we are sorry to hear of Arnolds death, and express our sincere condolences to you and family. To Althea, Frank,Judy and family: I am very saddened to learn that Tim has passed on..Our Rowter and MacAskill families have shared many milestones over these thirty-five years since Jude and Frank have been married..Please know that you are in my thoughts and prayers as you grieve the loss of Tim..I’ll think especially of you dear Althea as the days go by..Love, Dawn. So sorry to hear the passing of Tim. Our thoughts and prayers go out to you and Frankie and his Family. May He rest in Peace..thinking of you all at this difficult and sad time!!! Althea, our thoughts and prayers are with you at this time. Althea and family, we were saddened to hear of Tim’s passing. Your loss has been great. What a wonderfully kind person he was to each of us, and our lives were blessed by knowing him. Althea, you will miss this great man, as will Frank, his wife, and their family . I remember how the words he spoke , especially about Frank, showed the love and respect he had for his son. When Frank married and had family of his own, Tim always spoke of them with kindness and love . Your family was so blessed to have had him in your lives. We offer our condolences. Althea and family….so saddened to hear of Tim’s passing. Certainly I was closer to Bertie and Allen but do remember many warm visits to your home. Mostly in the kitchen…..where else? I also remember Danny and Frankie together….a couple of real young boys. Wish I could think of something to say that might make you feel some better but can’t. Stay strong and I’ll try to call you after a bit. Words cannot express how sad we are of Tim’s passing. He loved to hear all of our stories about the places that we had travelled to over the past years. Tim often shared some of his own tales, especially of his days working at Keji Park. He will be remembered for his kind and gentle ways! He will be sadly missed by all! Frank and family, we would like to send our condolences to the passing of your dad, our thoughts and prayers are with you at this time. Althea, I was so sorry to hear from Judy Andrews about Tim’s death. Our visits with you and Tim have always been the highlights of our times in Maitland Bridge, enjoying the warmth and companionship of your home. It always made me happy to know that my dad’s lifelong friend was such a lovely man. I wish you strength and peace as you go through this very difficult time. Althea, Frank and Family…… We were both saddened to hear of Tim’s Passing. Please accept our Deepest Sympathy at this very sad time. Our thoughts and prayers are with you all. So very sorry to hear about your Dad! We both know how difficult this is and want you and your family to know that our thoughts and prayers are with you! Reading the many kind words about a kind and gentle man.I always enjoyed sharing a yarn with Tim.He lived a good and productive life,and has left behind a great family to mourn his loss.I will miss him,and wish to send condolances to Althea,and all the family. Our hearts are with you at this time.Hold memories close to help with the days ahead.Thinking of you , Darlene,Lee Jamie and Lacey Sawler. Dear Althea and family, So sorry to hear of your loss. We are sorry to hear of your loss Althea.I am sure he will be missed by many friends and family.May God be with you. We were so sorry to hear of Tim’s passing. The highlight of my early career in surveying was working with Tim and Allen. They taught me so much and their lessons were passed on to my students during my teaching years. Please accept my sincere condolence on the passing of Tim. He was a great person and will be missed by all.